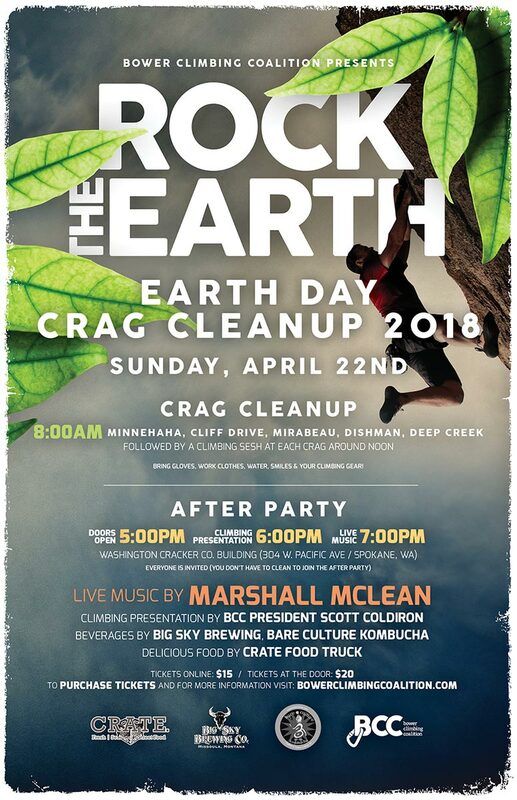 8:00AM – CLEANUP – Meet at any of the following crags: Minnehaha, Cliff Drive, Mirabeau, Dishman or Deep Creek. Bring gloves, work clothes, water, smiles and your climbing gear if you want to climb after! 7:00PM – Live Music Begins! Marshal Mclean hits the stage!